Before retiring in 2016, Mike was VP Rail for TransDev after a successful career as Deputy General Manager Northeast Corridor- Washington for Amtrak, a railroad providing intercity passenger rail service in the United States (America’s Railroad). In his role at Amtrak, Mr. Sherlock is responsible for employees assigned to Customer Service, Operations (Train and Engine service, On-Board service, Commuter Service, Train Dispatching) and Mechanical. Prior his assignment as Deputy General Manager, he was Superintendent Operations for Amtrak from October 2003 until May 2010 and Sr. Director Northeast Corridor Operations from December 2001 until October 2003. Mr. Sherlock held various management positions of increasing responsibility, during his 40 year railroad career, assigned to the Operating Rules Department, Crew Management Services and the Consolidated National Operations Center. Prior to joining Amtrak in 1976, Mike worked for Penn Central Railroad and Conrail as a Block Operator. 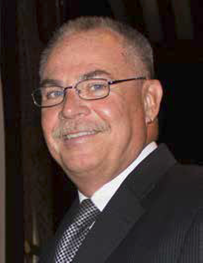 Mr. Sherlock served for several years on the AARS Board of Directors and Executive Board; he is currently President. Michael was graduated from Cabrini College in Radnor, Pa. with a Bachelor of Arts in Organizational Management. Michael also completed Six Sigma and Lean Six Sigma courses at Villanova University.